This is our most popular! Roam our four-bedroom 1,400 sq. ft. vacation home and enjoy the million dollar view. 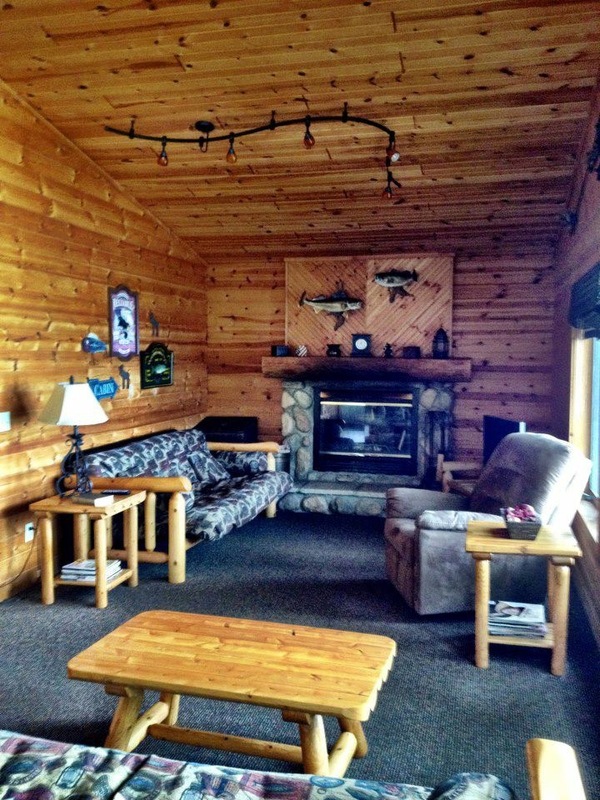 This cabin boasts all knotty pine interior, vaulted ceiling, large fieldstone fireplace (wood included), generous picture windows and oversize patio door to the huge wraparound deck overlooking the lake. Would you like to relax in the Jacuzzi or maybe watch a movie? 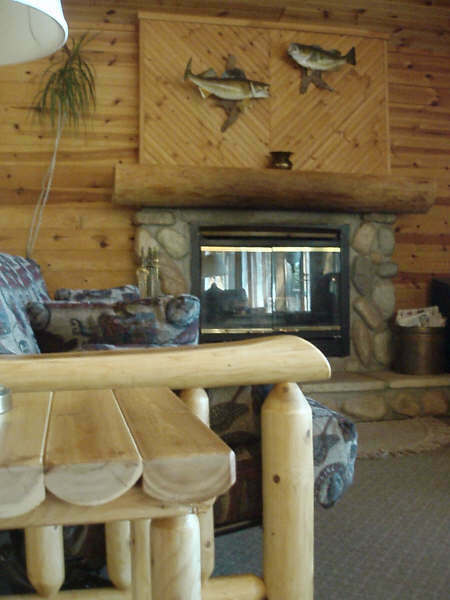 This one has a big flat screen LCD television/DVD Player and central air conditioning. Two log futons to accommodate four additional people. It is easy to see why this is our most popular. This vacation home has 1,400 square feet of living space with lots of extra touches. 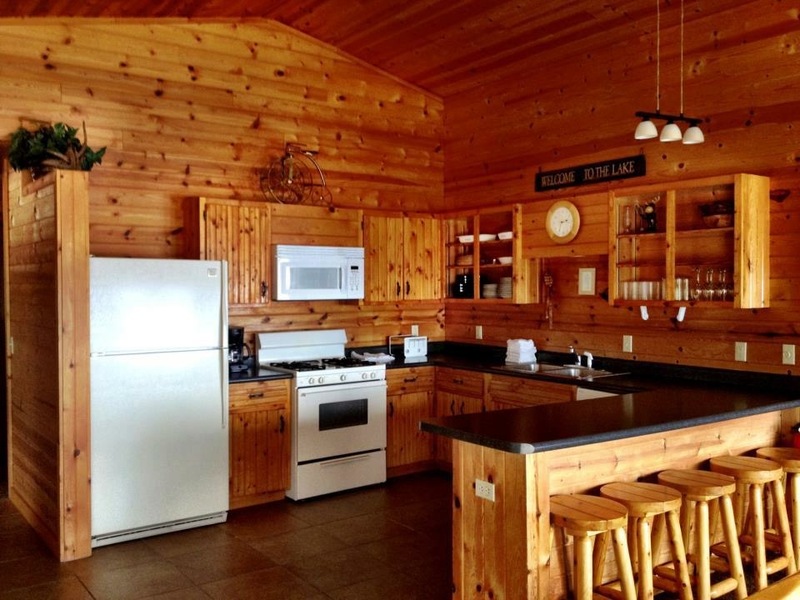 Besides the normal amenities all our cabins have, vacation home 4 has a spacious kitchen, is decorated in knotty pine, a large breakfast bar, dishwasher, extra capacity refrigerator with an ice maker. Plenty of space to spread out and enjoy a million dollar view! Walk out on the wrap around deck or sit out on the patio. Enjoy grilling on the oversized gas grill. After a hard day of play you can come in and relax by the fieldstone fireplace...this is especially nice on those cool evenings. Remember we supply the wood! If you would prefer to watch a movie, the TV and DVD are included too! 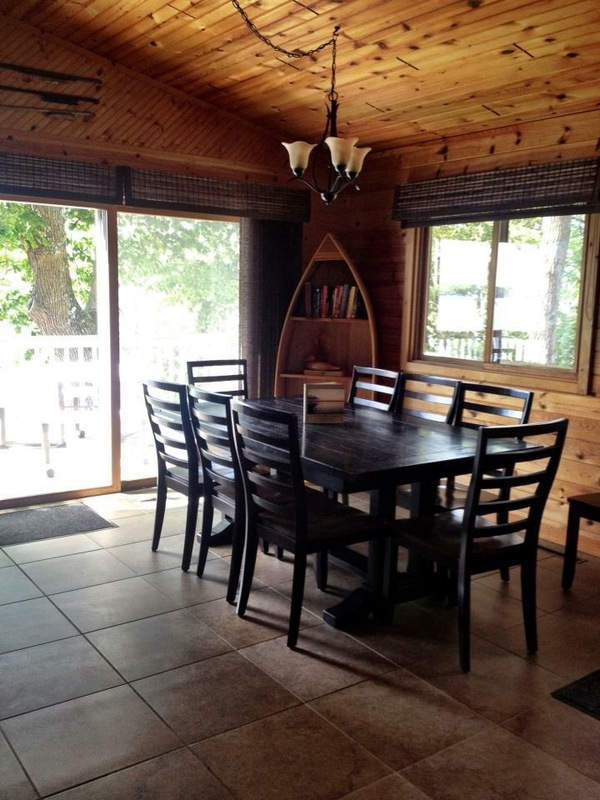 Vacation home 4 has four bedrooms to choose from. One of the bedrooms is furnished with one twin bed and one queen bed. The other has a queen sized bed. One of the bedrooms includes a queen sized bed. The other is furnished with one queen and one twin. If you need space for four additional people, there are two hide-a-beds in the living room. 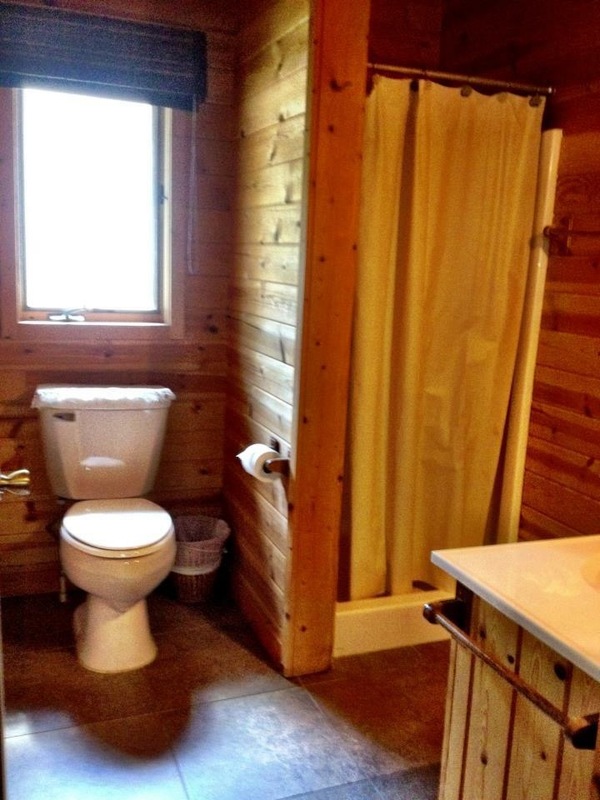 Vacation home 4 not only has two bathrooms...one of them has a big Jacuzzi in an alcove. How about that after a hard day of play? 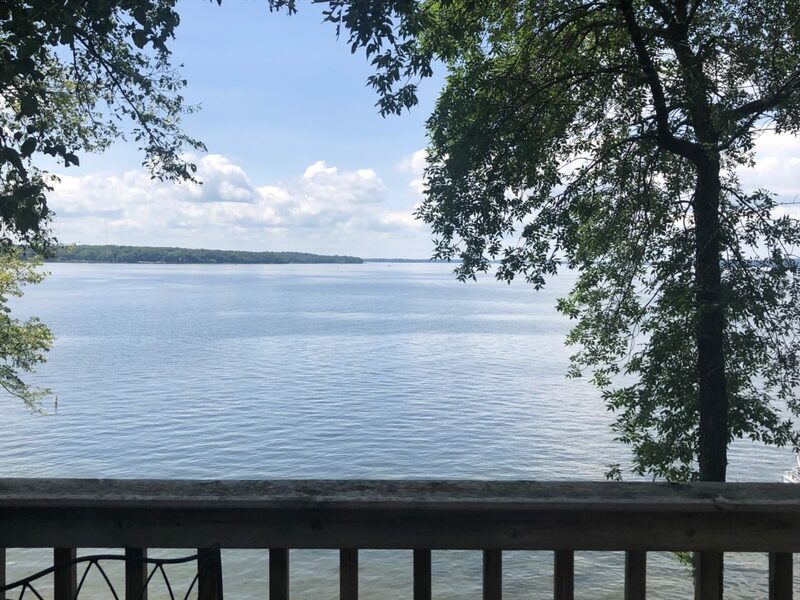 What a view from your deck!